This is your chance! Take the techniques and theory you’ve learned from Volumes 1, 21, 24, 2 & 3 and apply them to a real playing situation on comfortable tunes. A great volume to use when making the transition from learning scales and chords to actually playing melodies and chord progressions. Eight songs written in the style of the great standards. 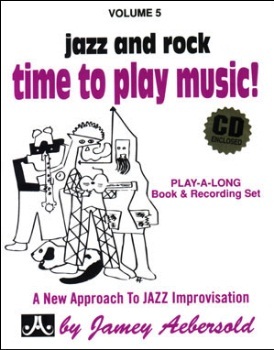 Book contains suggestions for soloing on each tune and a Scale Syllabus. Beginner/Intermediate.